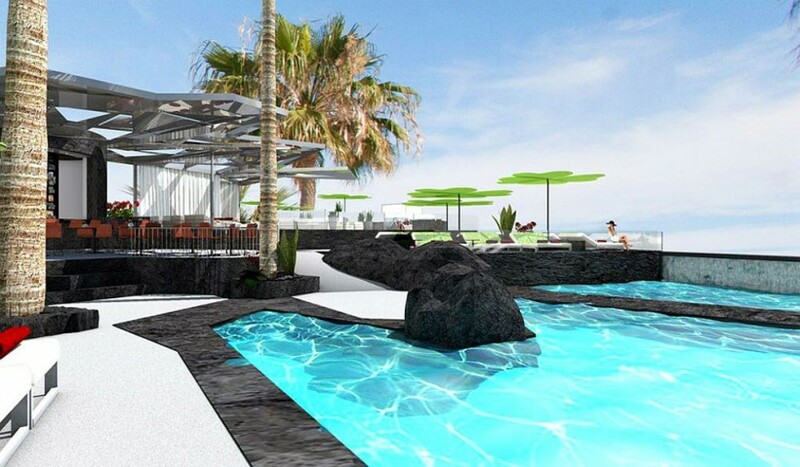 La Isla y el Mar 5* Boutique Hotel takes its inspiration from the legacy of famous Lanzarote artist, César Manrique, and is founded on a firm commitment to the natural and cultural heritage of the island and its people. It is the first hotel in the world to obtain the Biosphere Smart Hotel certificate, awarded by Unesco’s Institute of Responsible Tourism which advocates the combination of sustainability and technology. The hotel’s undertaking is to see its commitment reflected in a luxury setting. The La Isla y el Mar hotel and facilities were built on the principle of a circular economy which is aimed at reducing both the use of finite resource materials and subsequent waste production. The project was so successful that it won the TSMedia awards’ Re Think Hotel Competition. La Isla y el Mar’s commitment extends to optimizing sustainability in the daily running of the hotel by achieving ever-increasing energy efficiency thanks to three types of renewable energy; solar thermal, photovoltaic and geothermal. Located in Puerto del Carmen, it is the first hotel in the Canaries to have been awarded a class A Energy Rating Certificate as it not only consumes four times less energy than a non-sustainable hotel with similar facilities, but it also releases four times less carbon emissions into the atmosphere. This is achieved in a number of ways including its intelligent climate control system which maximises energy saving and efficiency throughout the hotel, for example, if a guest opens the window, the air conditioning automatically switches off. The whole hotel is also fitted with LED lighting. In addition, the hotel produces its own geothermal energy by extracting seawater through an 80-metre well and piping it into the rooms to operate the air conditioning systems. Furthermore, the swimming pool is kept heated thanks to a boiler powered by solar panels.